A member of the Board of Directors of the Vallee Foundation, Ernst-Ludwig Winnacker served as Secretary General of the Human Frontier Science Program Organization (HFSPO) from 2009 to 2015 and as the first Secretary General of the European Research Council (ERC) from 2007 to 2009.. He studied chemistry at the Swiss Federal Institute of Technology (ETH Zurich) where he obtained his PhD in 1968. After postdoctoral work at the University of California in Berkeley and the Karolinska Institutet in Stockholm from 1968 to 1972, he became assistant and then DFG Visiting Professor at the Institute for Genetics at the University of Cologne. In 1977 he was appointed Associate Professor at the Institute of Biochemistry at the Ludwig Maximilians University of Munich where he was made full professor in 1980. From 1984 to 1997, he was Director of the Laboratory of Molecular Biology, the University of Munich Gene Center. 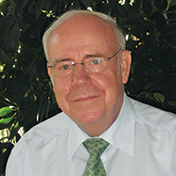 He served as President of the German Research Foundation (DFG) from 1998 to 2006. From 2003 to 2004 he also chaired the European Heads of Research Councils (EUROHORCs) and from 2000 to 2004 was member of the European Life Science Group established by Commissioner for Research, Philippe Busquin. He served as first Secretary General of the European Research Council (ERC) from 2007 to 2009. He is a member of the National Academy of Germany (Leopoldina) and the Institute of Medicine (IOM) of the US National Academies of Sciences. He received honorary doctoral degrees from the Veterinary University of Vienna and the University of Wuerzburg, as well as numerous awards, including the Order of the Rising Sun, Gold and Silver Star from Japan and the International Science and Technology Cooperation Award from the People’s Republic of China, the Leibniz Medal, the Robert Koch Medal and the Richard Ernst Medal. Professor Winnacker’s main fields of research are virus/cell interaction, the mechanisms of gene expression in higher cells and prion diseases.